While he did in fact first proclaim that with a roar in his 1882 work The Gay Science, it’s important to give equal attention to his critiques of morality, religion, and art, and to recognize the impact they had on Western philosophical thought. Whether this influence was for better or worse, well, it really depends on who you ask. For 25-year-old CCNY graduate Adam Patraju, Nietzsche’s work continues to fascinate. He says he loves the connection between the Enlightened Man of Buddhism and Hinduism and Nietzsche’s Ubermensch, and the influence that Plato had on his favorite work of Nietzsche’s, Thus Spake Zarathustra. 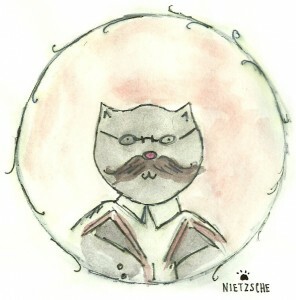 In Thus Spake Zarathustra, arguably Nietzsche’s most famous work, he poetically and artfully sums up his most important ideas like the eternal recurrence, “God is dead,” the Ubermensch, and the Will to Power. Zarathustra is a a wise old man who, at the beginning of the story, decides to come down from his mountain cave and preach the truth to the people, telling everyone he crosses paths with that the death of God calls for a rethinking of societal conceptions of morality.